Welcome to Time Out Singapore's 52 Weeks of #ExcitingSG – our commitment to showing you the best of what's going on in the city this week. Every Monday, a guest writer who's "in" with the scene shares a recommendation on what to see, eat, do or buy in the city. 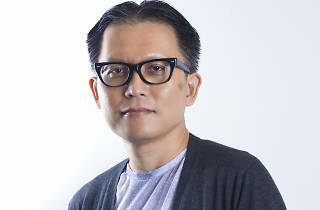 This week, we chat with Yeow Kai Chai, the Festival Director of the Singapore Writers Festival. Besides helming the literary festival for four years now, he is also a published poet, a music reviewer and a journalist. 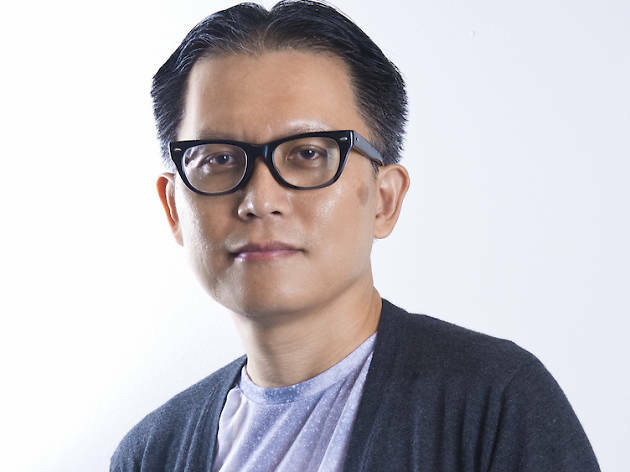 Here, he talks about his inspiration, the city's literary scene and how everyone – even non-bookworms – can enjoy the Singapore Writers Festival. Hi Kai Chai! What gets you excited about Singapore? What excites me about Singapore is the thriving literary scene, despite the contrarian factors. For one, I’m dismayed by the Singaporean sense of pragmatism when it comes to literature in schools -- fewer and fewer students are taking it as a GCE O-Level subject because it is comparatively more difficult to get As (than, say, in maths or science). Yet, at the same time, I’m more heartened by the sudden proliferation of exciting poets, fiction writers, spoken-word artists and creative non-fiction writers who have sprung up in the last few years. A certain bookseller in Tiong Bahru, in fact, told me he could sell more copies of a poetry collection than his counterpart in the UK! After all, country’s soul is articulated not just by hard, economic figures, but also by the eloquence of its creative wordsmiths. As Festival Director, I’d like people to pay more attention to how they communicate to one another. Especially, in an age inundated with fake news and words which can be weaponised to twist and obfuscate, it’s important to probe and interrogate, if we want to aspire to become a mature and sensible society where we can discuss issues intelligently. At the same time, I don’t want the Festival to be seen as the playground for only literati and literary types. Instead, my team and I want it to be accessible to anyone, from hipsters and millennials to those who may be shy and want to experience words and writings at their own pace and in their own time. Aside from books, I search for insights from movies, popular songs, soundtracks, magazines, exhibitions museums, travels. I don’t really like the distinction between high-brow and so-called low-brow. Shakespeare wasn’t meant originally to be read in the classroom. Poetry was meant to be sung. As a writer and festival director, I’m always on the look-out for a surprising insight, something unusual, something which defies logic but draws one in. What can we expect at this year's Singapore Writers Festival? Underlining it all is our Festival theme界 (jiè), that is centred around a Chinese character referring to the different world(s) we live in as well as the borders which divide and demarcate us. So expect topical, contemporaneous issues such as identity, multiculturalism, technology, migration and climate change. We are also venturing into new genres and out-of-the-box formats, such as an expanded late-night horror/suspense programming. Fantasy and speculative fiction are also big this year. We have Indonesian writer Intan Paramaditha who explores the intersections of gender, culture and politics in the horror genre; as well as Singapore’s very own Rachel Heng, whose debut novel, Suicide Club, paints a dystopian society obsessed with genetic perfection. Together with the Nanyang Technological University’s School of Humanities and Social Sciences, we are exploring medical humanities with an exhibition and a series of talks and panels featuring writers such as Yong Shu Hoong and Danielle Lim confronting issues of mortality and end-of-life care, as well as connections between illness, healthcare and literature respectively. We are also presenting one of our most thought-provoking Country Focus presentations ever with Germany in the limelight. It’s an eclectic, ethnically diverse lineup of writers, such as experimental poet Rike Scheffler, novelist Julia Franck, and author Miriam Meckel who is going to reveal whether we are slaves to the algorithms of the Internet. And yes, don’t forget to walk into Kafka’s Room for a virtual reality experience! Who are some of the authors and poets you're excited to have this year? I’m excited that Singaporeans get to hear and see British writer Irvine Welsh of Trainspotting fame, whose fiction is dominated by themes of class division, prejudice and identity; the American humourist David Sedaris who goes for the jugular with his wry, self-deprecating misadventures of modern living; and Indian-American author Kiran Desai who is the youngest female writer to win the Booker Prize in 2007 for her novel, The Inheritance of Loss, which was hailed by critics as a keenly observed description of globalisation. And I’m stoked that we have American journalist Jeff Goodell who will show us the spectre of a world drowning in water if we don’t take good care of our planet. On the poetic front, I’m happy to say we have a very strong contingent including my personal favourite, the wonderfully genre-erasing American poet John Yau, a protégé of one of the greatest American poets John Ashbery, and a brilliant art critic/curator in his own right who brings to bear his bicultural heritage to his post-Asian-American literary inventions. How can non-literary lovers enjoy SWF as well? Film fanatics are in luck this year. As part of a co-presentation with Anticipate Pictures, we are presenting a slew of exciting dramas and intriguing documentaries, such as the psycho-horror serial killer flick The House that Jack Built by Danish provocateur filmmaker Lars von Trier; Climax, a hallucinatory imaginarium featuring a group of dancers and directed by the equally divisive Gaspar Noe; Shut Up and Play the Piano, a cinematic documentary on the life of Grammy-winning composer Chilly Gonzales, whose creative co-conspirators include Feist, Peaches and Jarvis Cocker; Matangi/Maya/M.I.A., a documentary featuring the exciting British-Sri Lankan rapper M.I.A..
Post-Halloween, we are invoking otherworldly realms with SWF Late Night: The Ghost In Your Head, a commissioned work produced by Global Cultural Alliance. With theatrical soundscapes, a buffet of delights and strange encounters with characters, it will provoke audiences to challenge their personal realities while taking inspiration from the life and works of influential dead writers like Jane Austen, Lewis Carroll and Eileen Chang. For music lovers, I urge you to catch Fear and Trembling: 20 years of The Bluest Silence, a special 20th anniversary celebration performance of Kelvin Tan’s seminal record, The Bluest Silence (1998). He will play all nine tracks live for the first time, complete with a few new songs and an opportunity for fans to ask him questions at the end. Also, don’t miss Str8 Up: Word on the Street, featuring writers, musicians and performances poets such as Australian spoken-word artists Jesse Oliver and William Beale, German artist Fatima Moumouni and Singaporeans Vanessa Fernandez and Subhas Nair as they highlight the kinship between poetry and rap, and wrestle with the concerns that afflict our times. Why should readers make their way down to SWF? There is nothing like being there in person to hear and watch a critically acclaimed writer speak. SWF is the biggest gathering of writers in Singapore’s literary calendar – more than 390 speakers in about 310 events – and we aim to make the written word accessible to people from all backgrounds and walks of life, by creating safe spaces for everyone to participate and appreciate the literary arts in their own way. Poets, fiction writers, graphic novelists, philosophers, film-makers, musicians, theatre practitioners and thought leaders represent the best minds around, so don’t miss this once-in-a-year opportunity to learn from them!